Martin Barrow, Head of Footprinting at the Carbon Trust discusses the need for the meat industry to take action on carbon emissions. When is a cow like a car? It may sound like a joke, but the answer could be serious for meat producers. Red meat is suffering from a wave of bad press. Shoppers' confidence in beef products has been knocked by the horsemeat scandal which has also increased awareness of high prices. Concerns are also emerging about the environmental impact of rearing cattle and sheep for consumption. As those fears combine, there's a risk that eating such meat will become less and less popular. In a competitive market, red meat producers must take action to avoid more negative comparisons with pork and chicken, which both tend to have a lower carbon footprint. If the red meat industry wants to thrive, it should take a tip from a very different sector which has been facing a similar challenge for years - the automotive industry. Car makers are tackling the twin realities of rising fuel costs and government emission reduction legislation to combat climate change. It is meeting these challenges with innovation. In the last decade, the average CO2 emissions from a new car's exhaust pipe have been slashed by 17% according to the Society of Motor Manufacturers and Traders. That's mainly the result of incrementally tougher legislation and rising prices pushing for more efficient engines and new innovations such as electric cars or hybrids, which run on batteries some of the time. These savings have emerged through close examination of every process involved in producing a car and every aspect of a vehicle's workings. The meat industry must take the same road. Analysis has shown about 30% of greenhouse gas emissions come from the use of fertiliser on fields and a further 40% comes from methane produced by the animals' belches, which as a contributor to climate change is about 21 times more powerful than carbon dioxide. The rest comes from fertiliser production, fuel, electricity and deforestation resulting from cattle farming. Over the past 5 years, the Carbon Trust has been helping a number of organisations to investigate the carbon footprint of livestock on farms. Thousands of farmers have been involved in the largest such programme in the world to date. One example is Ireland's food board, Bord Bia, which has developed tools to assess beef farm emissions and also the carbon emissions generated between the farm gate to the boning hall, where meat is prepared for distribution. Its aim is to help farmers and processors identify carbon hotspots where potential improvements may be possible. Lamb farmers stand to benefit from a similar approach via, the English Beef and Lamb organisation, which has recently released a tool to help farmers measure their carbon. The next crucial step is understanding how to tackle those emissions. This is no esoteric project. As the automotive industry has demonstrated, being more carbon efficient often means removing unnecessary costs. Better knowledge could drive new ways of working and help farmers cope with the rising price of animal feed and growing consumer environmental concerns. One of the first companies to take on the challenge is GrowHow, the UK's only major fertiliser supplier. The Cheshire-based company has set out to differentiate itself from rivals by measuring and managing its carbon footprint. Part of that process involves working with farmers to help them use its fertiliser more efficiently and effectively, cutting their costs and improving yields. With about 30% of the carbon emissions of beef production coming from fertiliser use, GrowHow's activities could have a major impact on the environmental footprint of the meat. Financial benefits and efficiency go hand in hand. A study of 60 beef and sheep farms carried out for EBLEX found that, for every 1kg cut in carbon emissions per kg of liveweight lamb, farmers increased profit margins by 28p. For beef an increase of 50p in profit margin for every 5kg cut in carbon emissions per kg of meat was possible. Studies show that compared to pork and chicken, there is a wide gap between the best and worst beef and lamb footprints - up to 10-fold. This is due in part to the wider variety of farm situations but does also suggest scope for significant efficiency savings. Some of the changes required to improve profits are quite simple. 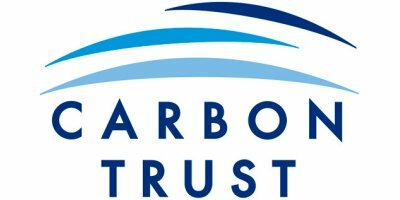 The Carbon Trust has estimated that almost immediate energy savings of up to 20% can be made at most processing plants through straightforward management or system improvements. Things like reminding staff to switch off unused equipment or insulating pipes can seem simple but really make a difference. More technical research is examining how to reduce the emissions from belching cows and sheep. At the moment, relatively little is known about cows' digestive systems but more investment in this area could help develop new feeds which could dramatically reduce the environmental impact. Better herd management and selective breeding may also have a role. Even basics like improving animal health can mean that fewer animals are required to achieve the same level of production. Retailers and the catering industry also need to play their part to increase investment in innovation. Long-term contracts and financial support can help farmers commit the up-front investment that will secure the future of the UK red meat industry to the financial and environmental benefit of the whole supply chain. And let's not forget that consumer tastes may continue to evolve, with some making conscious purchasing choices based on environmental and sustainability factors in the provenance or production of their food. Government also needs to set appropriate policy to bring about change and secure funds to implement it. It's possible that the latest round of Common Agricultural Policy negotiations, for example, could secure funding for more research on the emissions behind red meat production and the best way forward. Investment in research and development right through the meat supply chain is required to seize the environmental agenda and show that red meat can play a part in a sustainable economy. Car makers have shown us the road map, now the whole red meat industry needs to work together and put its foot on the accelerator. The author of this article obviously hasn't read the research on grass-fed beef. http://www.time.com/time/magazine/article/0,9171,1953692,00.html which shows rotational grazing grass-fed beef are carbon negative and highly sustainable.